The cold front that moved through this weekend brought little snow to Mores Creek Summit (MCS). At all elevations and aspect a variable coating of graupel over a supportable crust layer. At wind protected locations as much as 5 cms of very skiable graupel surface, however the average above 7000 feet was about 2 cms. Saturday was very windy, but the firm snow conditions were good for ski touring over to Sunset Peak. Firm conditions allow to cover the relatively long distance to Sunset with ease. Temps were above zero deg-C in the morning, but as the front arrived late in the morning temps precipitously dropped below the freezing point at all elevations. Sunday dawned with blue-bird skies, light winds from the NW, and colds temps. Morning temps at 6000 feet were -12 C, and at 8000 feet approached -20 C. These temps were sufficient to freeze any liquid water through the snowpack at all elevations and aspects. A 5-10 cm supportable crust was present at elevations and aspects at MCS that made ski touring fast. And the graupel provided an optimum surface for skin grip. The tip of the day was to avoid wind exposed crust, and skin anywhere with graupel for '4x4 like' uphill traction! Familiar ski runs above 7000 feet are ready for the winter with more than adequate coverage. The coverage below 6500 feet is poor, and only recommended for those that want to do hand-to-hand combat with MCS abundant brush. Until we get another 50 cms of new snow, I advise using Pilot and Sunset Peak road to access the ski terrain. 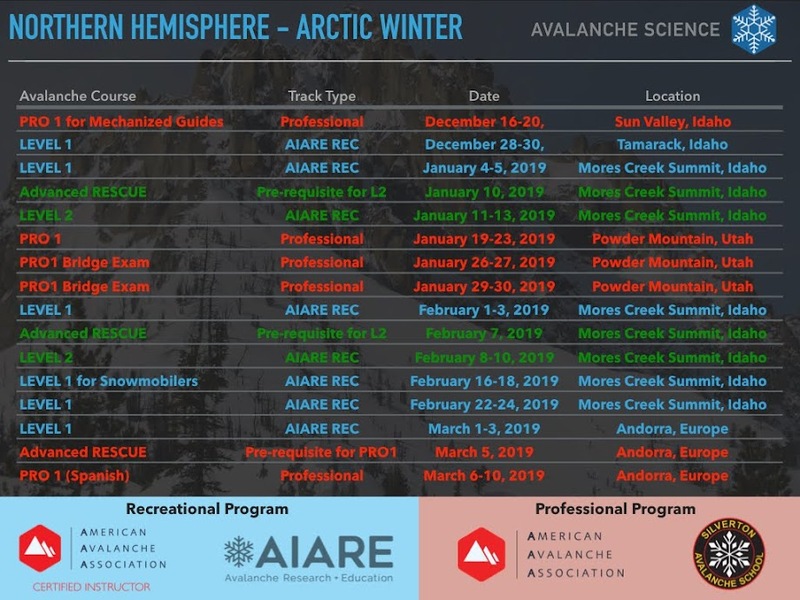 Compared to the early 2013-2014 winter season, the shallow snowpack level (deeper than 50 cms) is found this year at 6500 feet, contrary to the 7000 feet from last winter. Views into the Sawtooths were spectacular, and the very popular ski destination at Banner Summit, Copper Mountain, was easy to spot. Snotel reports suggest decent amounts of snow at Banner Summit as well as the Trinities from this last storm. For those unfamiliar to area, the top of Pilot Peak provide some amenities rare at mountain summits. Take a look at the next picture. Brush the snow off - and you its ready. It also comes with a GREAT view! This weekend I noticed, for the first time that now there is cell phone reception at Sunset and Pilot Peak summits. It is flaky, but good enough for an emergency. The snowpack at 8000 feet is 80-100 cm deep, with a suspicious crust-facet interface near the ground and several 'sandwiched' crusts with rounded facets at the top 30 cms. I must admit that I was surprised by the stability tests. Evidence of instability were found at an alarming depth of 75 cm, where stability tests resulted in moderate trigger likelihood results with sudden planar propagation fracture failures. The significant snow deposition event in top of the old October facets from a week ago, as well as balmy temps during the last 72 hours prior to this weekend frontal passage did not altered the nature of an early facety snowpack. Frankly, I was hoping for a benign snowpack, without concerning interfaces. Well, so far we easily found evidence that the Boise mountains snowpack is far from a benign snowpack. This season early snowpack is going to require a lot of careful attention. It is December 1st, and the snowpack is getting set-up for deep instability. The only observed fracture plane failures occurred 75 cm down on a weak interface of 1-1.5mm advanced facets over crust. All structural deficiencies (Lemons) were present! The top 20 cm of the snowpack with its burly crust and denser snow results in a 'bridging' effect over the steep snow covered terrain and makes the triggering of the 75 cm deeps instability less probable. However, this type of instability can result in an avalanche releasing to ground that will involve significant amounts of snow (depth and propagation). The combination of the large amounts of snow involved as well as rocks/stumps from ground cover exposed by release, result in a high consequences scenario for anyone taking a ride on it! Based on MCS single test and snowpit, where evidence of instability was easily detected, it will be prudent to assume that similar conditions exist in the West Central Mountains. Conservative decision making is highly recommended. As time passes, and we get characterize snowpack layering distribution in our area, then we can relax and explore more steep terrain without deep instability structure. Meanwhile, REMEMBER deep instabilities can become sensitive to triggering after a loading event. Weather forecasts for Central Idaho Mountains predicts 25 cms of new snow with moderate winds by Tuesday at elevations above 7000 feet. Notice that new snow and winds will result in loaded localized areas that will stress the snowpack, and releases at starting zones could have a decent chance of initiating avalanches to ground. Again, make use of conservative decision making during this period of transition from shallow snowpack to a mid winter snowpack. A final note. Last year it was financially challenging for the Idaho City local businesses due to the late snow conditions. Think about leaving some dollars behind. All it takes is a quick stop, maybe at Trudy's for a once in a lifetime opportunity to have her huckleberry cheesecake with a very cold beer. Trudy makes the cheesecake herself, and the beer fridge is kept very cold. It is PRICELESS! 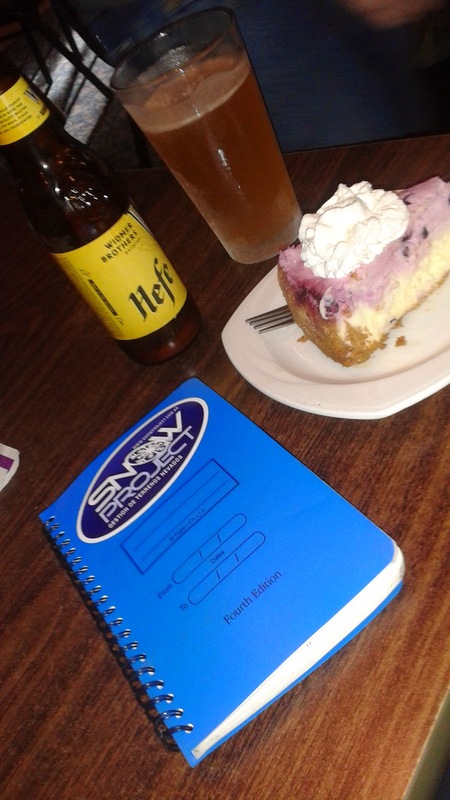 Completing snow field blue book entries with dessert and a cold beer! Enjoy this winter. I will be looking forward for a new style of posting coming soon to the MoresCreekSummit blog!